From the get-go, the Torus really understands what makes a narrow block great. 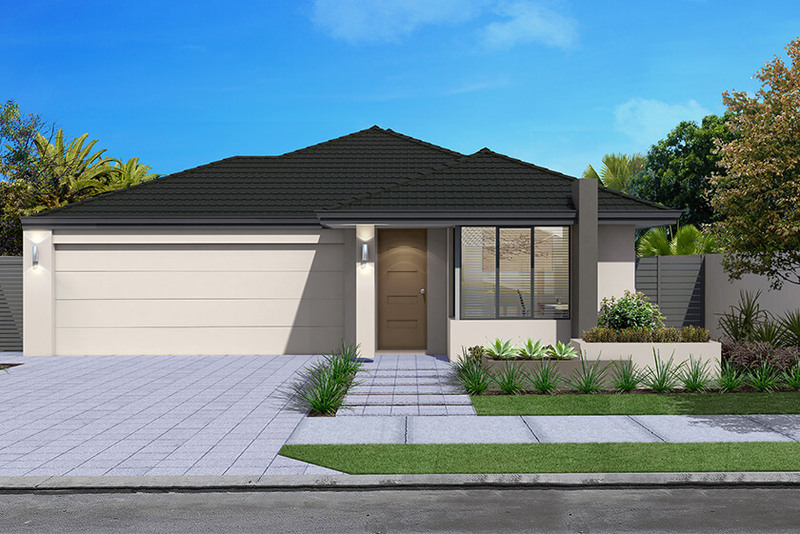 This slimline but big-hearted design brings three bedroom, two bathroom style and space together for the perfect way to live large – whether you’re a smaller family, or you’re downsizing and love to entertain guests. Sitting privately at the rear, the spacious, self-contained master suite includes a walk-in robe and ensuite. Two minor bedrooms, both with built-in robes, are located towards the front of the home, along with their bathroom. The compact laundry is conveniently tucked away here too. The central, open plan living area spans the entire width of the home, creating social space to relax, connect, have fun or get creative in the kitchen with its island bench and breakfast bar. The clever quirk at the front is a quiet home theatre ready for escaping into movie-world. All this, plus a double garage and shoppers’ entrance, makes every homecoming to the Torus a welcome one. Three-by-two home perfect for 10m wide block. 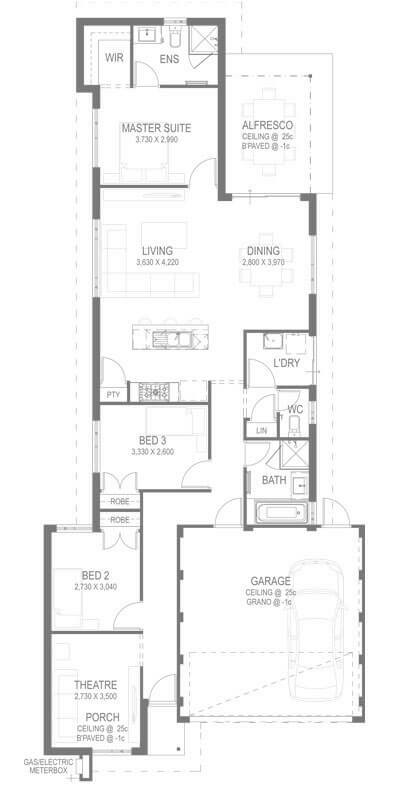 Private, rear master suite with walk-in robe and ensuite. Minor bedrooms in front section of home. Central, open plan living connected to the alfresco. Separate home theatre at the front of the home. Double garage with handy shoppers’ door into the home.